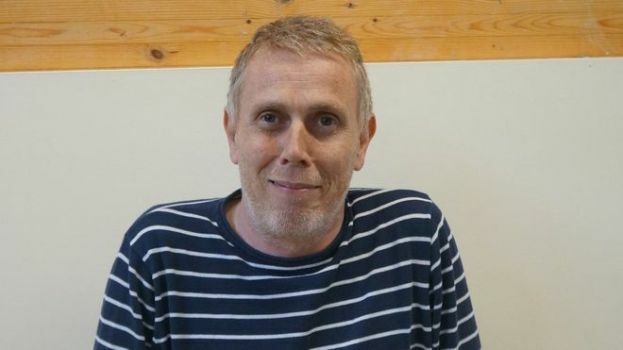 A former Big Issue seller has said he is “still getting used to the idea” he has fulfilled his “dream” of going to Cambridge University. Geoff Edwards, 52, spent most of his adult life homeless in Cambridge after work as a field labourer dried up. He said selling copies of The Big Issue “gave me back a bit of self-respect”. After gaining distinctions in an Access to Higher Education course at Cambridge Regional College, he is now studying English Literature at Hughes Hall. As first reported in the Cambridge News, Mr Edwards, who left school with two O-levels, said: "Going to Cambridge University was a dream of mine. He came to Cambridge from Liverpool in search of work as a farm hand but after years of being homeless “was isolated and getting anxious”. His life was turned around when he became a Big Issue seller in the city.